Mr Carr was one of my many English teachers. He taught me all through the Junior Certificate syllabus, including some of the most famous and iconic pieces of Irish poetry. This is the poem I am most grateful to have been taught. Kavanagh was born in Iniskeen, Co Monaghan in the early 20th century. He was best known for works such as Raglan Road and the critically acclaimed The Great Hunger. 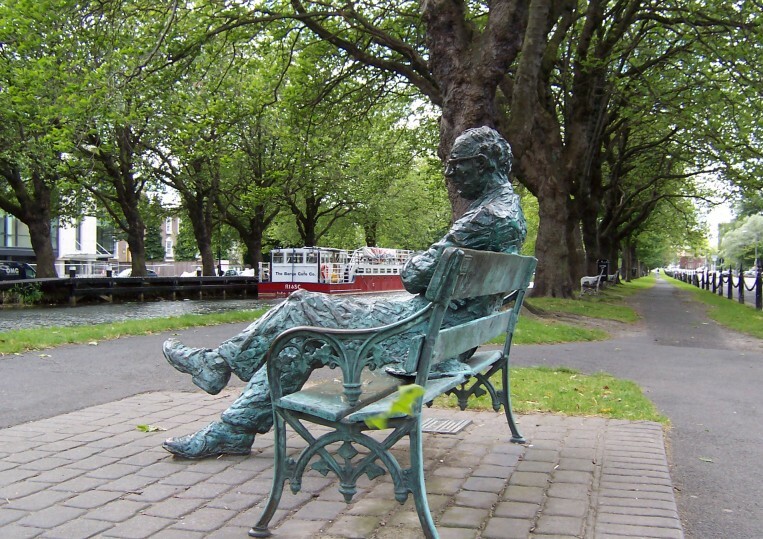 During his youth and middle-age, Kavanagh was an avid pessimist as well as something of a heavy drinker. In 1954, he was diagnosed with lung cancer and had the lung removed. Whilst recovering in hospital, his general outlook on life changed dramatically and he became far more philosophical and generally, it would seem, happier. He spent much of his time relaxing on the nearby Grand Canal, which is where he his now commemorated with a statue. Epic was published with Come Dance with Kitty Stobling and Other Poems in 1960. The poem’s title is used half-ironically, and half self-justifyingly. Set in Kavanagh’s native Monaghan, it describes a rather nasty altercation between two families in a dispute over land which has turned violent. On the general scale of historical events, fray would seem very minor, but Kavanagh later realises that such things are ‘all relative’. The ‘Munich bother’ which he refers to is the sequence of events that led to the Munich Agreement, which Prime Minister Chamberlain famously proclaimed guaranteed ‘peace for our time’, only for World War Two to start within a year. The final five words are, I believe, some of the most powerful in all of Irish literature.